As an international business major, you will learn foundational business skills while focusing on servant leadership on a global scale. Attention is given to political and cultural diversity, within the framework of a Christian worldview, to prepare you for a wide variety of cross-cultural business opportunities and situations. As businesses increasingly become global, there is a significant need for employees who are trained in international business and international studies. Your international business degree from SBU will prepare you to be a servant leader wherever you go, whether you work in a multinational corporation, pursue international entrepreneurial activity, serve as a missionary or work for a global nonprofit. According to the 2017-2018 College Salary Report by PayScale, international business graduates receive an average early career pay of $48,500 with average mid-career pay of $93,200. Career opportunities in international business are limitless, and SBU will work with you to discover your passions and pursue your goals! The International Business degree is offered through SBU's Robert W. Plaster College of Business and Computer Science. More than 75% of students in the business administration department complete at least one internship before graduation. A unique blend of business classes with courses in intercultural studies, communications, and government will prepare you to work for international nonprofit organizations, international businesses or to start your own business overseas. Study abroad opportunities and Center for Global Connections trips provide international experience and cultural appreciation opportunities with a missions focus. Learn from your peers, many of whom are international students, through class discussions, group projects, and study sessions. Faculty are committed to intentionally integrating Christian faith in the classroom with the goal of producing future business leaders who are also servant leaders. For example, as an international business major, you will take a course in International Economics/Finance that uses the Poverty Cure video series to facilitate a Biblical discussion about global poverty. 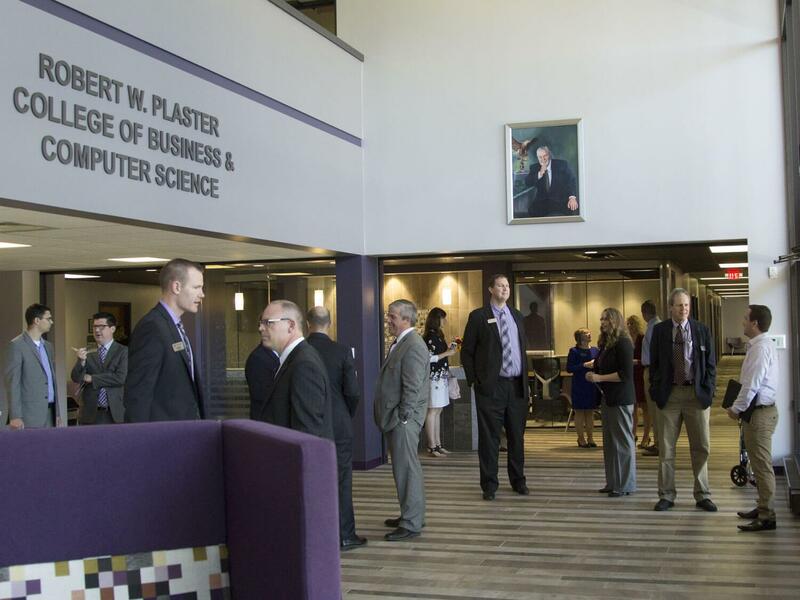 Psalm 15 — The SBU College of Business and Computer Science's Psalm 15 initiative provides intentional integration of faith and academic discipline. 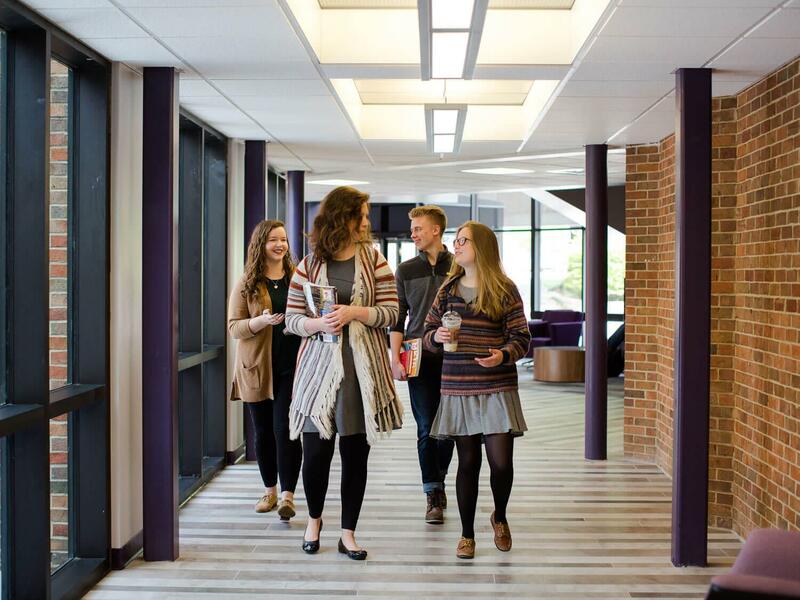 Using Psalm 15 as a basis, the College has identified eight character traits that should be the hallmark of the College's students and graduates. These character traits are emphasized in coursework and in a special lecture series. The highlighted character traits are: Integrity, Service, Respect, Charity, Faithfulness, Truthfulness, Humility and Perseverance. Ethics and Professional Development — As part of an intentionally Christian education, all students in the College of Business and Computer Science take a senior-level course in Ethics and Professional Development. The course teaches Christian personal and professional ethics and equips students with life skills such as career development, etiquette, and personal financial planning, with the goal of producing ethical business leaders who will be servant leaders in the workplace. Formerly known as Students In Free Enterprise (SIFE), Enactus is an international nonprofit organization (headquartered in Springfield, Mo.) dedicated to inspiring students to improve the world through entrepreneurial action. More than 69,000 students at more than 1,740 universities in 36 countries plan and implement community development projects to improve the world around them. At the end of each school year, the teams present their projects at a regional competition. Select teams advance to the national competition with the winner advancing to the Enactus World Cup where one team is chosen the winner among all participating universities. 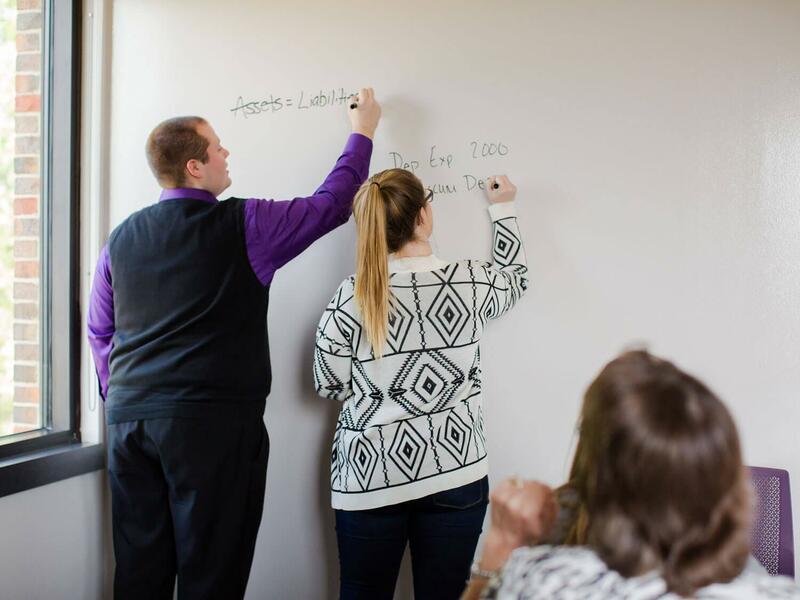 SBU Enactus has won its regional competition nearly every year since 1985 and has gone on to succeed consistently at the national level, ranking as high as the top 8 in the nation in 2017. Delta Mu Delta is an international honor society established to recognize and reward superior scholastic achievement of students in business administration. The purpose of Delta Mu Delta is to promote higher scholarship in education for business, and to recognize and reward scholastic attainment in business subjects. Delta Mu Delta is an invitation-only society for juniors and seniors in the top 20% of their class with a minimum GPA of 3.25. Future Business Leaders of America-Phi Beta Lambda, Inc. (FBLA-PBL) is the largest career student business organization in the world. PBL is for college students whereas FBLA is for high school students. PBL has more than 10,000 members and more than 500 chapters. 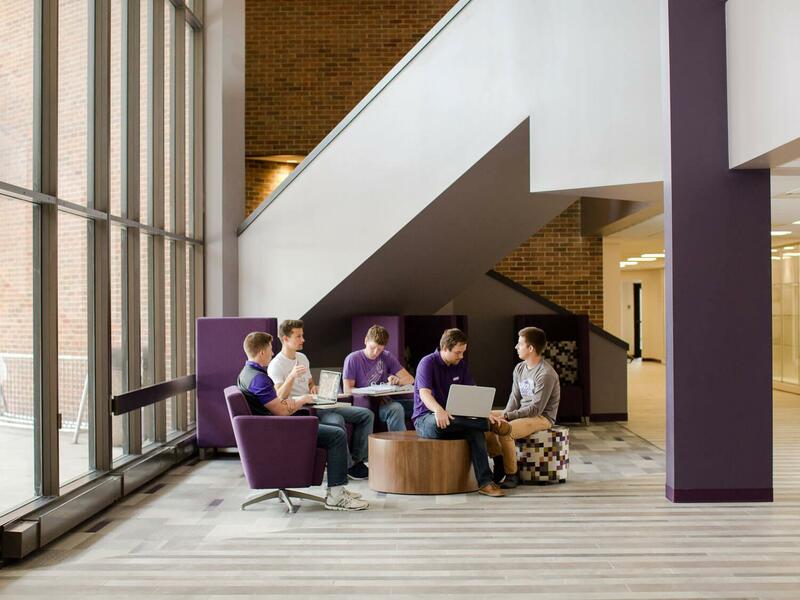 SBU's PBL chapter consistently excels at the yearly state and national competitions. In 2017, SBU PBL competed against 208 students and 15 universities at the state competition and had 20 top-five finishes, including six first-place winners. At the 2017 national competition, SBU PBL had nine students compete and brought home eight top-10 finishes! Financial Management Association (FMA) offers amazing opportunities for business students. 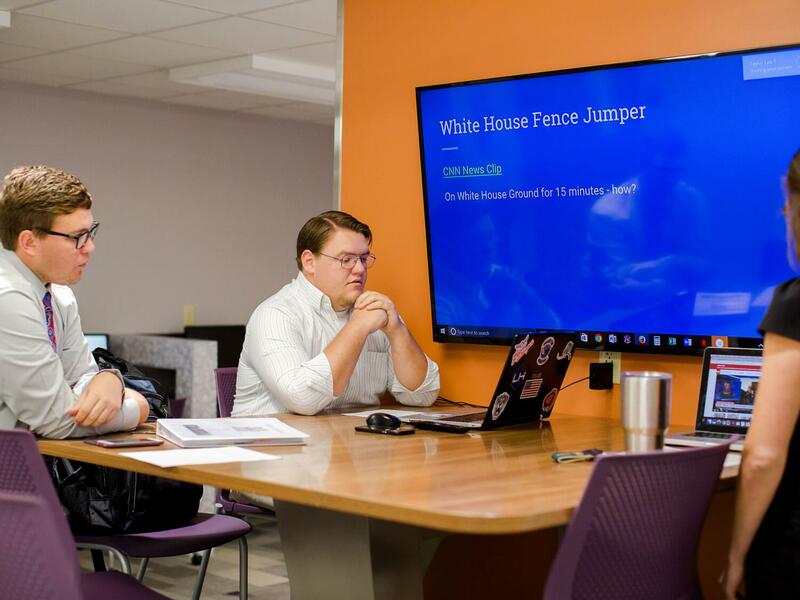 In the SBU FMA chapter, students have the opportunity to meet and network with local finance professionals, engage in investment competitions, participate in community service, and network with SBU peers. As a member of FMA, a national organization, students gain access to FMA's extensive online library, online forecasting competition, job posting board, and international networking and award opportunities. 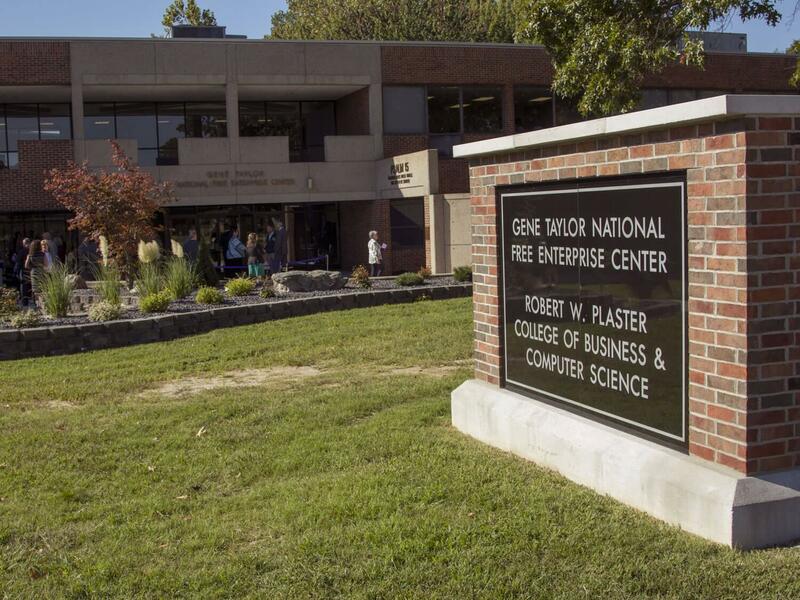 The Robert W. Plaster College of Business and Computer Science (COBACS) offers many privately funded department and college-level scholarship opportunities for its students. During the 2015-16 academic year, more than $64,000 was awarded in private scholarships to COBACS students.